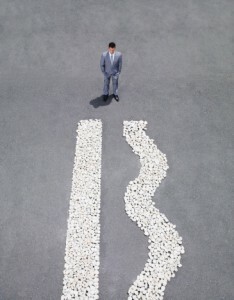 Posted by randydeutsch in Ambiguity, career, employment, environment, identity, pragmatism, survival, the economy. All architects are by training generalists and then in practice become specialists. Despite never becoming somewhat of a musician, many practitioners understandably have remained generalists their entire careers. For while statistics aren’t readily available it is conceivable that the majority of architects who find themselves out of work, or underemployed, today are the generalist sort. That the better gamble would have – years earlier – been to become experts at something. But that thinking – while comforting to tell oneself – would be off-the-mark. By suddenly specializing, generalists do themselves a disservice, are untrue to their calling and sell themselves short. More than anyone employers need to realize this. Is the current trend to fill holes predominantly with specialists short-sighted? Using a biological analogy, a generalist species is able to thrive in a wide variety of environmental conditions and can make use of a variety of different resources while specialist species can only thrive in a narrow range of environmental conditions with a limited diet. In more utilitarian terms, specialists know where to hit the nail to get rid of the creak in the floor board. While generalists can recommend eleven types of flooring that don’t creak in the first place. Generalists see the big picture. Specialists have great depth of experience in one specific area. Generalists conceive the big ideas and concepts that energize teams and carry construction projects through their arduous 3-5 year lifespan. Specialists focus all of their effort and skill development on one specialty. Generalists keep things interesting – they’re often whom colleagues and clients relate with best. Specialists have an easier time selling their services once they find their market and can charge more. Generalists are the glue that holds teams together. In the body politic, specialists are the workhorse liver and spleen. Generalists? The heart and sinew. Specialists know the work inside and out. Generalists – with broad peripheral knowledge and the ability to provide clients with alternatives if one solution doesn’t fit – are the heart and soul of the operation. When specialists die who attends their funeral? When generalists die they’re standing 10 deep, nary a dry eye in the room. 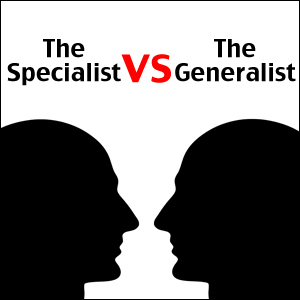 Specialists may be safer in the short term but generalists are a whole lot more fun. 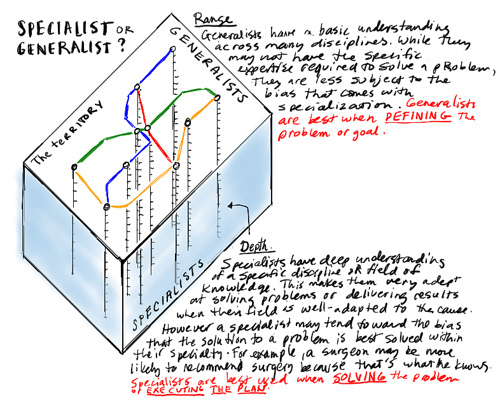 Is your specialty being a generalist? Are generalists the new specialists? Architects have so much to learn that being a jack-of-all-trades isn’t really a conceivable route to take. Even generalists are more specialized than they give themselves credit for. One look at the jobs postings – what there are of them – and its dishearteningly clear: only specialists are in demand. Employers now require recruits and candidates that are exact matches for the holes they need to fill. Down to the detail – looking for people with single attributes. In the wish list of job requirements “well-rounded” is not among them. Forget round altogether. We’re living in square peg, square hole times. Not fire starters but firemen – relievers – to put out fires. Wanted: Closers, not openers. Fastballs, not knuckleballs. And there’s no room for ambiguity, no growing into the position. You’re either it – or you’re not. It may be well and good that the architect’s core competency is a hard-earned and all-too-rare comfort with ambiguity. Make no mistake. We are living in clearly unambiguous times. This talent – often referred to as agility and flexibility – to keep as many balls in the air for as long as possible isn’t needed right now, thank you. For there are far fewer balls to maneuver and the few that there are seem to hang in the air longer. Task masters are in. Multitaskers need not apply. Going back to that biological analogy, most organisms of course do not fit neatly into either the specialist or generalist camp. Some species are highly specialized, others less so, while some can tolerate many different environments. 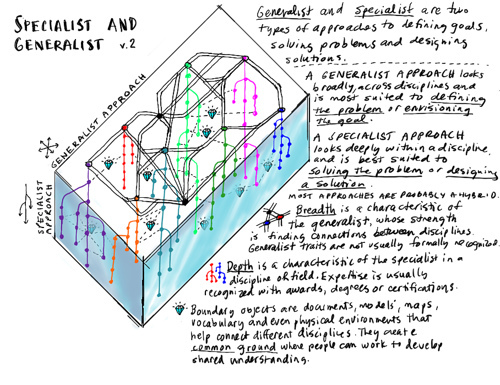 In other words, it’s probably healthiest for architects to think of the specialist–generalist issue as a continuum, from highly specialized experts on one end to broadly generalist practitioners on the other. Are You a Koala or Raccoon? Forget the Hedgehog or the Fox, where the generalist fox knows many things, but the specialist hedgehog knows one big thing. Instead, ask yourself: Are you a Koala or Raccoon? 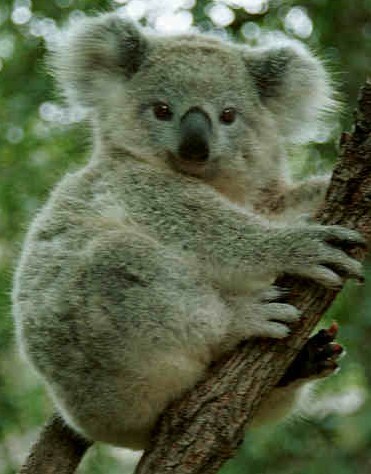 A well-known example of a specialist animal is the koala which subsists almost entirely on eucalyptus leaves. No eucalyptus, no koala. In our current work environment it is perhaps best to think of oneself like the wily raccoon – which are able to adapt to all sorts of environments, even urban ones. Ever adaptable, the raccoon is a generalist because it has a natural range that includes most of North and Central America and it is omnivorous, eating berries, insects, eggs and small animals. But then again, adaptability – like the generalist today – is underrated. Perhaps it’s best to be a little of both? But you’d have to be a generalist to see it that way. Just received this thoughtful and insightful comment by email from Peter Janko, President, Lumenelle – Lighting Restoration, Design, and Manufacturing in Chicago. Thanks Pete! As always, a very interesting and thought provoking blog. 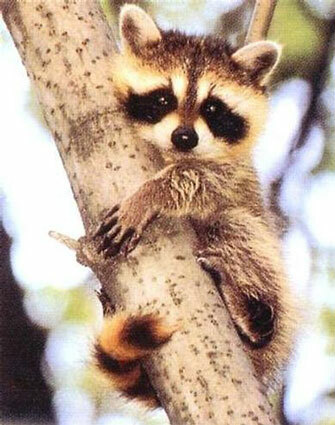 Raccoons are also thought to be color-blind or at least poorly able to distinguish color. Not exactly a good characteristic for a design professional. In our current work environment I think it is perhaps best to think of oneself like the wily coyote – not to be confused with “Wile E. Coyote.” Coyotes are opportunistic and versatile. Unlike adaptability, versatility can put you in control of the situation. Coyotes are one of the most successful of all species. Despite being extensively hunted, the coyote is one of the few medium-to-large-sized animals that has actually enlarged its range since human encroachment began. Coyotes thrive in suburban settings and even some urban ones. Wildlife ecologists at Ohio State University studied coyote populations in Chicago over a seven-year period (2000–2007), proposing that coyotes have adapted well to living in densely populated urban environments while avoiding contact with humans. They found that urban coyotes even tend to live longer than their rural counterparts. In another testament to the coyote’s habitat adaptability, a coyote nicknamed “Hal” made his way to New York City’s Central Park in March 2006, wandering about the park for at least two days before being captured. New York’s parks commissioner noted this coyote had to be very “adventurous” and “curious” to get so far into the city. In April of 2007, in the Chicago Loop, a coyote, later nicknamed “Adrian”, quietly entered a Quizno’s restaurant during the lunch hour. It was later captured and released at a wildlife rehab center near Barrington, Illinois. On the other hand, the raccoons are universally viewed as pests that can do extensive and costly damage to your building if they get in. The “bandit’s mask” has also enhanced the raccoons reputation for mischief. So, is it any wonder that the coyote is a popular figure in folklore and popular culture? I would also suggest that a better omnivore would be the basic black bear — which has been known to wander through suburban yards near Seattle; wander through the public park system until nearly downtown; and also take afternoon swims in private pools near Santa Barbara. Bears are also heavily represented in native mythology as being protective, conservative, and resourceful. I think your discussion of “generalists” and ‘specialists” is a little to generalized. I am VERY specialized — I’m a specification writer — and the biggest part of my job is to teach people that good documentation follows throughout the project from early design to finishing the construction. In my view, writing the project manual — although ostensibly the thing I get paid to do — is the least important thing that I do. Teaching younger staff how to think about projects, how to understand the point of view of the contractor and the subcontactors is what I really do, and the project manual is simply my vessel to do that. I have met typical architectural “generalists” who are so incurious, so hide-bound, and so dull that I wouldn’t hire them to do a garage addition. I have also met very specialized practitioners (lab planners, medical planners, education consultants) who are so worldly in their viewpoint that you might be tempted to hire them to design a jewelry store or a processing plant — they are specialists because they appreciate the depth and the intensity of their speciality — and that character trait is transferable to nearly anything. And I have worked with very “deep” generalists — who design buildings, jewelry, furniture, and wrist watches all with the same attention. Large projects are very difficult to do profitably without specialists of some sort. Very few architects are hired with hourly fees to do mult-hundred million dollar projects; the lump sum (or maximum fee) project for a scope of work necessitate some specialists for technically demanding aspects of the project. A novice may be able to adequately design a functional and lovely curtain wall for a high rise building, but at what cost? Or, an unknowledgeable practitioner could design a medical suite but its likelly that a more experienced architect would be more responsive the owner concerns. we do want a general creativity and the ability to see points in common. One firm I worked for many years ago specialized in health care and were able to make the jump into corrections work by emphasizing the programming issues that hospitals and prisons had in common. The first couple of project may not have been easy or profitable (because of course there are a lot of things that prisons and hospitals don’t have in common) and that ability to both see commonality, and realize dis-continuity is what makes a designer really talented. Thanks for your thoughtful comment. As moderator of these comments, I normally, as a rule, don’t approve comments that are longer, better written and more insightful than the original post – but I’ll make an exception this one time, since you mention bears. Your being a specification writer, it will be interesting to see what happens to that specialty if and when specifications are integrated into BIM models. If this were to occur, the teaching/ coaching/ mentoring of emerging talent that you describe will be an irreplaceable loss -an ought to be accounted for by the profession. Thanks for visiting and for sharing. At the last firm I worked with (before the great lay-offs), as a specifications writer I was mostly hired to mentor younger staff and incidentally produce project manuals. Large projects and fast schedules mean large teams, many of whom are relatively young. When the project manager is managing budget and clients; and the project architect is managing consultants and big issues, someone like me helped direct the research efforts and understanding of the younger staff. We specifically did not want to incorporate the specs into the 3D model — because with such a large, young staff, we wanted the specs to override aspects of the model if necessary. What is not generally understood about specifications writers is that in most offices we are the only desk that sees all projects in the office. In very large offices, partners will have supervisory capacity over some of the projects, but in most cases, no one person — except the spec writer — will see every project. Because of that, the spec writer, rather than being very specialized, ends up being the only real over-seer in the entire office.